Gordon Plaza is a housing development in the Desire area of New Orleans; one built on top of 20 feet of toxic waste— the site of an old landfill. In 1994, the Environmental Protection Agency (EPA) designated the site a “Superfund site”—a place that poses risks to human and environmental health. Built by the City of New Orleans, 54 households are still living there today, despite years of legal battles, despite cases where adults and children have died of cancer. 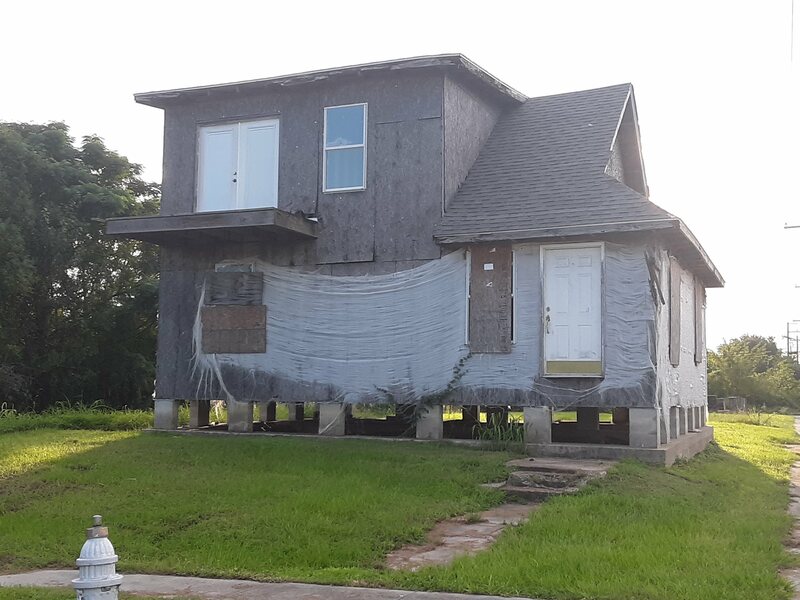 The city developed and sold the homes to working, middle-class African American families that the Housing Authority of New Orleans (HANO) decided were the optimal buyers. In an article by Thomas Shapiro, published in Washington University Journal of Law & Policy, Shapiro writes: “The empirically accurate American wealth narrative is not simply about individual hard work, discipline, and savings; notably it is also about structured homeownership opportunities, real estate markets, government programs encouraging homeownership, and residential segregation.” That the opportunity for dozens of African American families in New Orleans to become homeowners was, in fact, a trap that would keep them in worthless homes atop a Superfund site belies a fundamental truth about America, not least of all New Orleans: that opportunity is never equal across racial lines. Every single one of the households in Gordon Plaza is African-American, and they have been battling for years, through multiple mayoral administrations, to receive compensation for their homes, which are currently worthless. “We wouldn’t even be going through this if this was white folks back here. If this was white folks back here this area would have been cleaned up a long time ago,” says Shannon Rainey. She was one of the original homeowners to move into Gordon Plaza. The neighborhood was part of a development that included a rent-to-own subdivision known as Press Park, a community center, and Moton Elementary School. Gordon Plaza homes hit the market in the early eighties; the area was marketed to “striving, African American families” and HANO developed both Press Park and Gordon Plaza. Once they moved into Gordon Plaza, the new residents quickly noticed that all was not right with their new homes. The residents dug up strange debris in their gardens. Elevated lead levels were reported at the school grounds—the yard was unpaved. 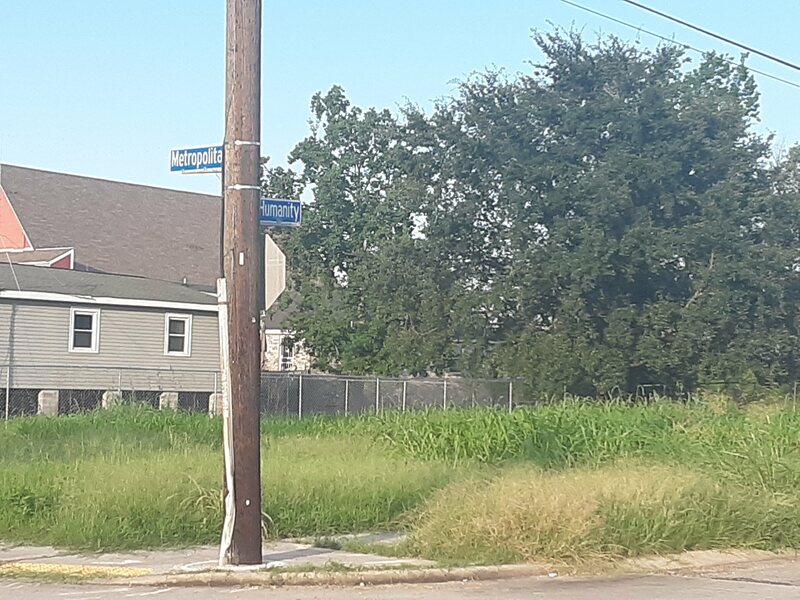 The Agriculture Street landfill that the neighborhood was built on was an active dumping site for city waste from 1905 to 1948, then was reopened to accept waste from Hurricane Betsy. The dump had a nasty habit of self-immolation, lending it the nickname “Dante’s Inferno”. Amid rising concerns about what lay beneath their homes, the Environmental Protection Agency (EPA) performed testing on the soil in 1993, and found high levels of lead, arsenic and polychlorinated aromatic hydrocarbons, among dozens of other known carcinogens. One hundred forty-nine known contaminants showed up in the samples, and the site was added to the Superfund list soon after. After the revelation that Gordon Plaza sat atop toxic waste site, the residents filed a class-action lawsuit against the city. Meanwhile, the EPA began a costly remediation project of dubious efficacy, though the residents themselves were agitating for fully-funded relocation. Concluding in 2001, the remediation removed the top two feet of soil from the yards around the Gordon Plaza and Press Park homes. The EPA placed a permeable mat over the soil beneath, to mark where the contaminated soil started and laid two feet of fresh soil above. This remediation did not affect the substrate beneath roads and homes, and some residents, such as Jesse Perkins, who still lives in Gordon Plaza, refused to allow the EPA to work on their property. He considers the remediation effort to be something of a cruel joke. Overall, the cost of the remediation exceeded 40 million dollars and left the residents where they were. “Maybe the EPA wasn’t a friend to the city, but nobody was a friend to us,” says Perkins. Adding insult to dramatic injury, during Katrina the flooding washed away soil that the EPA had laid. Then residents learned they were not eligible to collect FEMA funds to help restore their homes—they were on the so-called “red-list” due to the site’s Superfund status. Eventually, some residents of Gordon Plaza were able to make repairs from money available from Road Home so that they were able to move back to Gordon Plaza. After the storm, HANO also closed off the Press Park homes so that the residents who had been paying into the rent-to-own program could not get inside. “That was an eye-opener right there,” says Rainey. The development is still closed, many of the homes sagging and empty, but still standing and now teeming with mold. 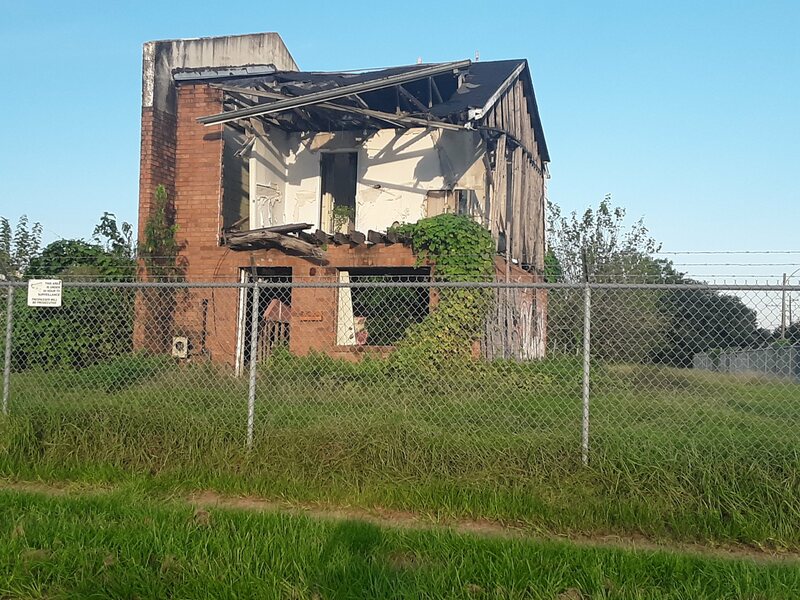 As the Residents of Gordon Plaza agitated publicly for relocation in the summer of last year, the City began to raze some of the Press Park homes, something which HANO Gregg Fortner claimed to not know of at the time. “I can’t afford to walk away from my home. So we’re gonna keep fighting till we get justice,” resident Jesse Perkins told a crowded room at a Gordon Plaza teach-in last fall. Though the residents won their class-action suit in 2006 and damages were disbursed in 2015, only a portion of the plaintiffs have received checks, and almost none received enough to relocate. Some residents collected just a few hundred dollars. Others are still waiting to get paid, while even more sit on a list of thousands eligible for damages—people who lived and worked in the areas as well as children who attended the school—passed away while waiting. “Justice delayed is justice denied,” says organizer Angela Kinlaw, who is part of a group of local activists called the People’s Assembly of New Orleans who is working to win fully-funded relocation for the residents. 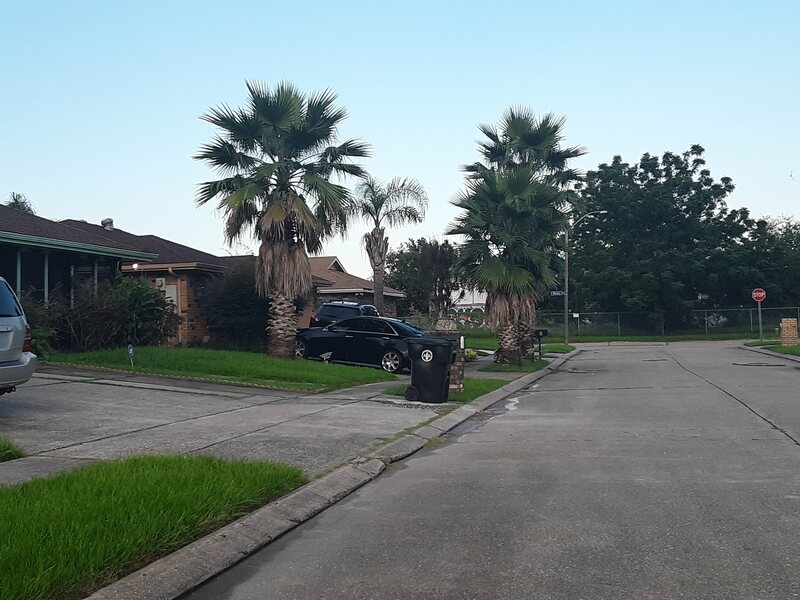 Shannon Rainey, the President of Residents of Gordon Plaza, LLC has reported the city contacting her for figures to estimate the cost of relocation; the residents want 375,000-400,000 per home, the value of similar homes that are in New Orleans and not on toxic landfills. To give the reader a relative sense of the figure, the total cost would be less than that of the police camera security initiative of 2017, which came with a $40 million price tag. In 2015, the Convention Center collected $60 million in dedicated taxes, bringing its total surplus up to $222 million in 2016. “I’ve gone to city hall time and time and time again,” says resident Marylin Lamar. Both Lamar and Lydwina Hurst are advocates for the community and senior citizens. They’re also each breast cancer survivors. Though the revelation that the development sat atop a landfill came more than 25 years ago, residents have still never received compensation from the city. Many are dead of cancer. Still others are cancer survivors or currently have cancer. Resident Shannon Rainey estimates 18-20 residents have died from cancer, in just the years since Katrina. The residents have never received assistance from the city to cover their medical bills, and multiple children are living on Gordon Plaza today. Residents report that during her campaign, Mayor Latoya Cantrell said that she would support fully-funded relocation. However, since becoming mayor, she has avoided meeting with the residents and refused to comment on Gordon Plaza on multiple occasions. Though the plight of Gordon Plaza remains little-known in much of New Orleans, it seems change may be on the horizon. In the fall, a group of physicians and medical providers released a letter to the Cantrell administration, urging them to fund relocation as a life-saving matter of justice. 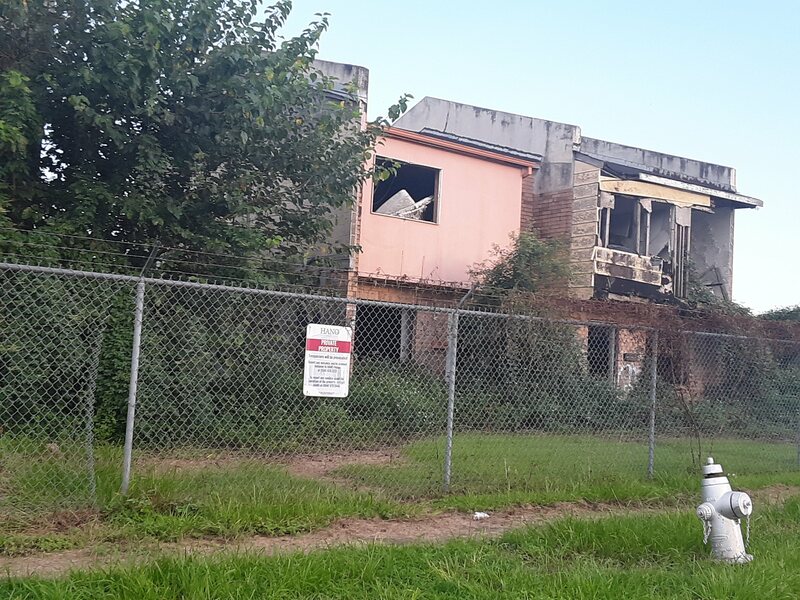 The People’s Assembly of New Orleans has organized protests and actions to demand fully funded relocation, while the Residents of Gordon Plaza, LLC continues to advocate for themselves. The destruction of the Press Park homes also suggests that the city is aware that New Orleanians are becoming more aware of the issue. To the people of New Orleans, Rainey asks that they put pressure on their elected officials to make relocation a reality. “Continue flooding the mayor’s office with telephone calls, asking them to relocate the residents of Gordon Plaza with fair relocation,” says Rainey. The Gordon Plaza fiasco is inexcusable. The administration needs to step up in the worst way.